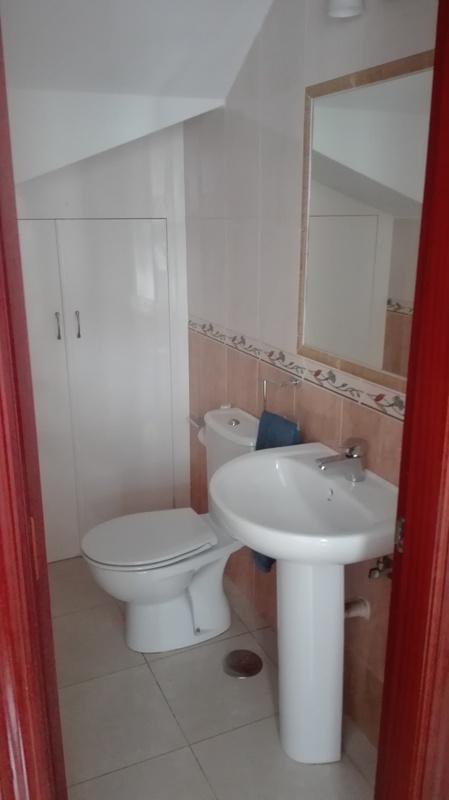 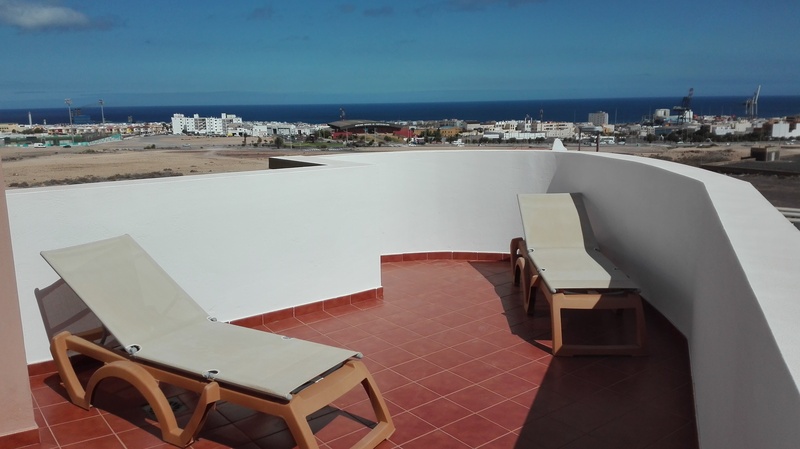 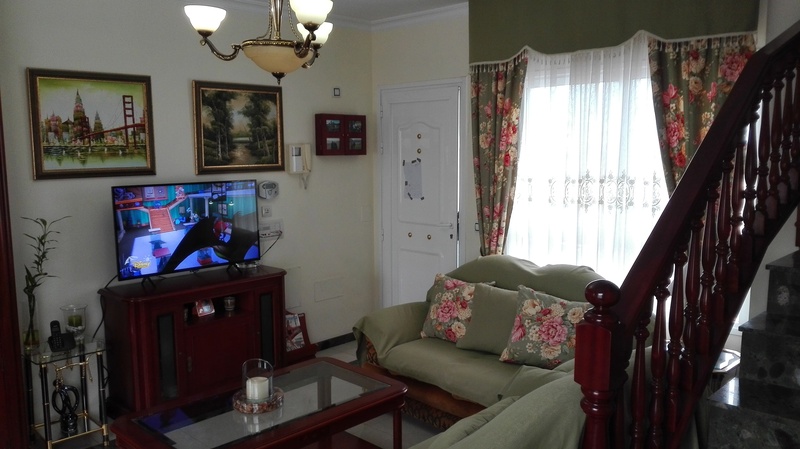 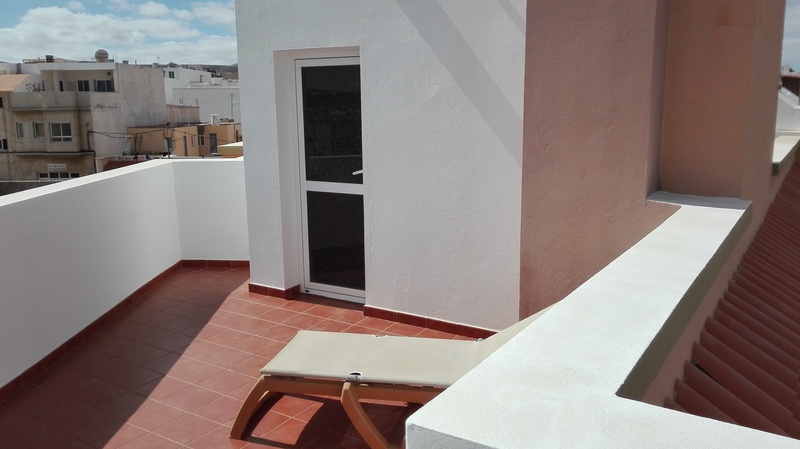 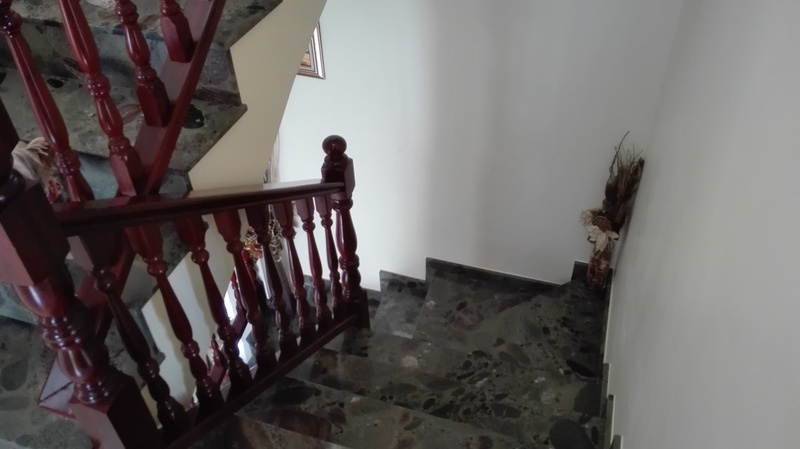 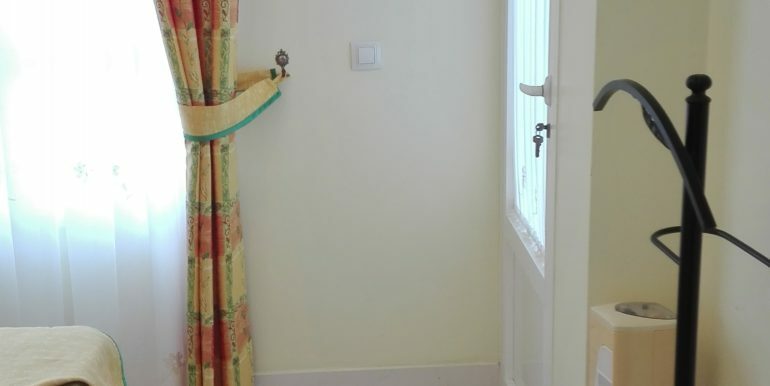 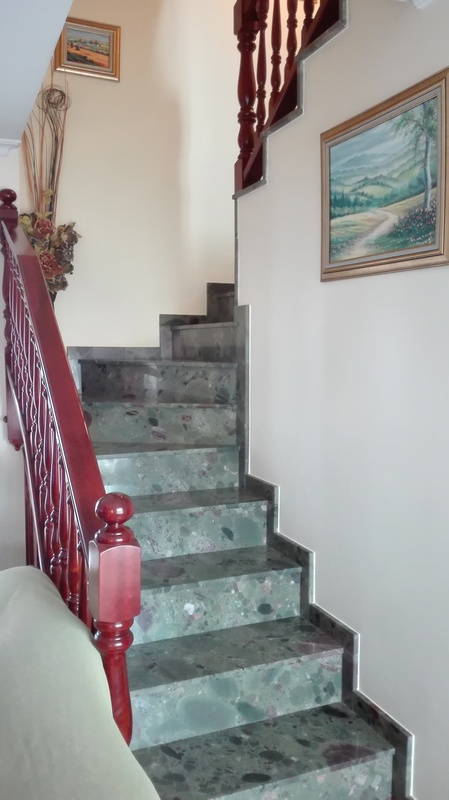 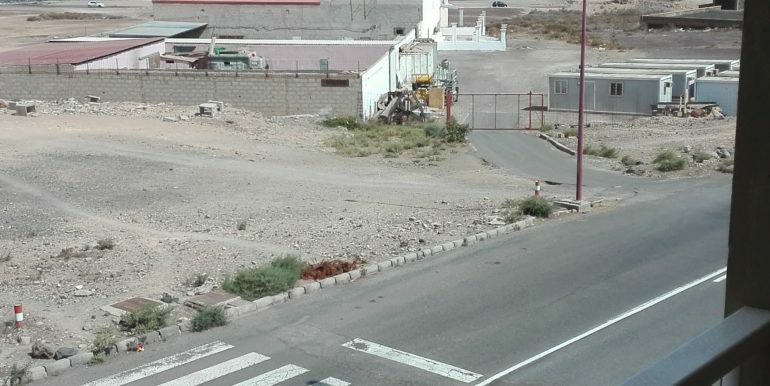 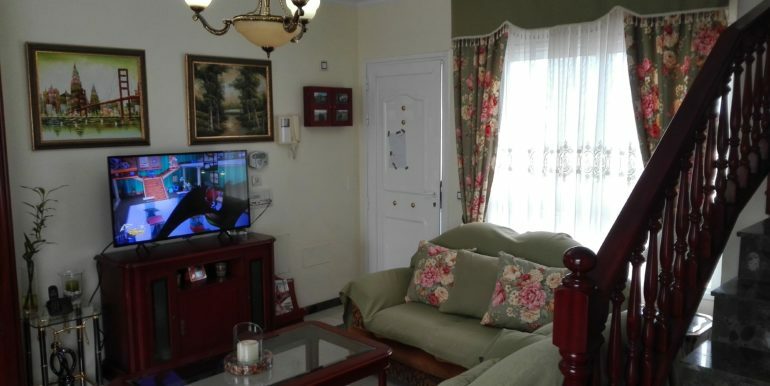 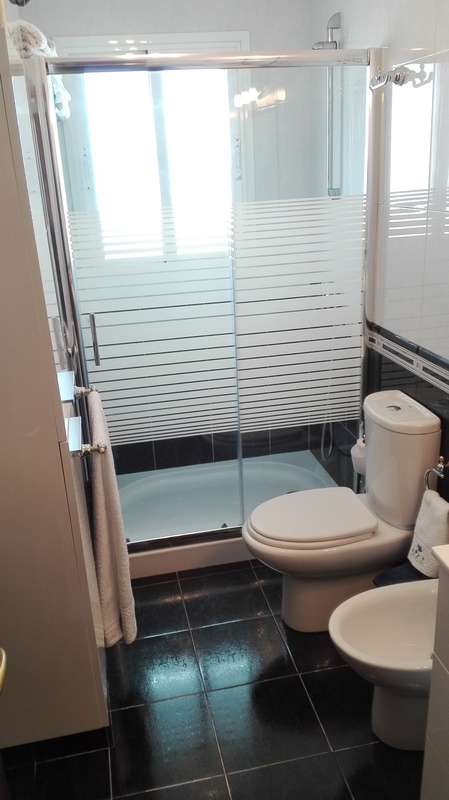 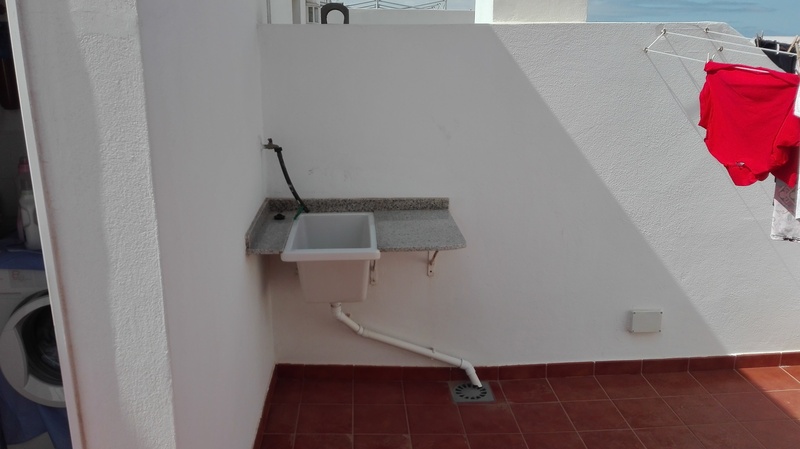 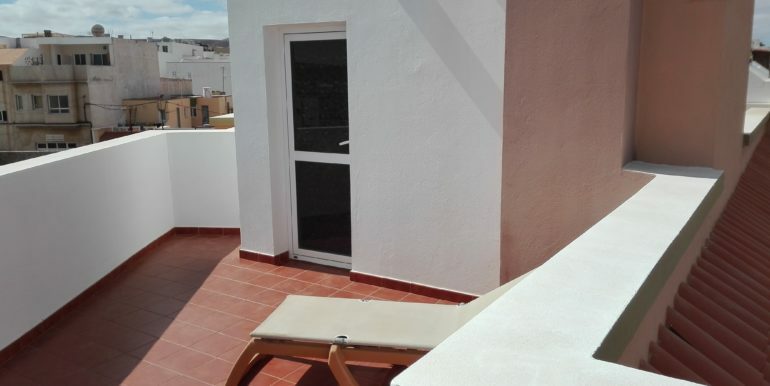 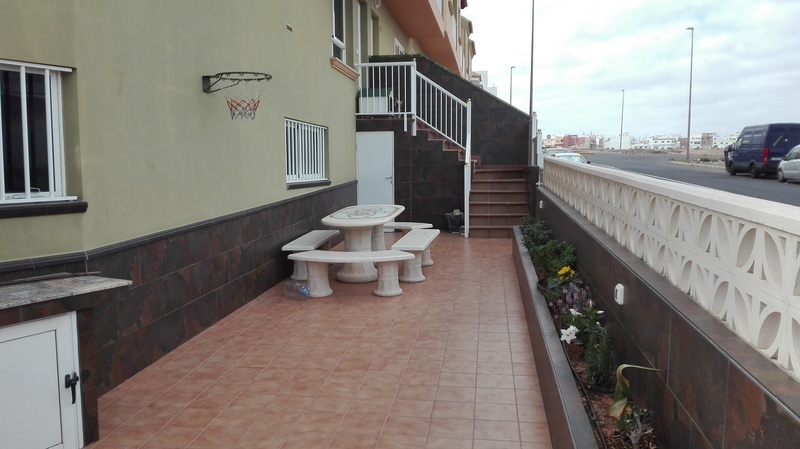 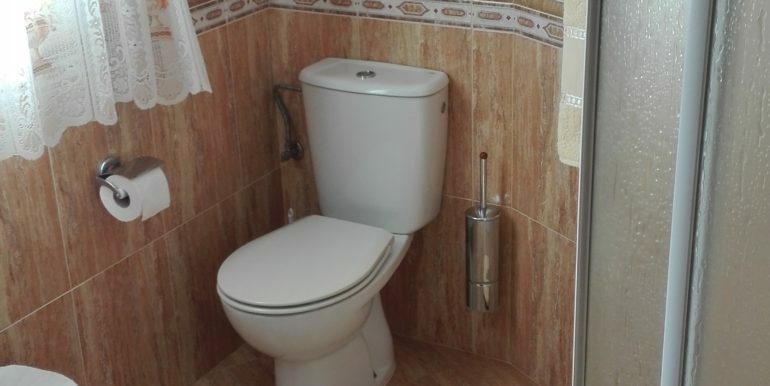 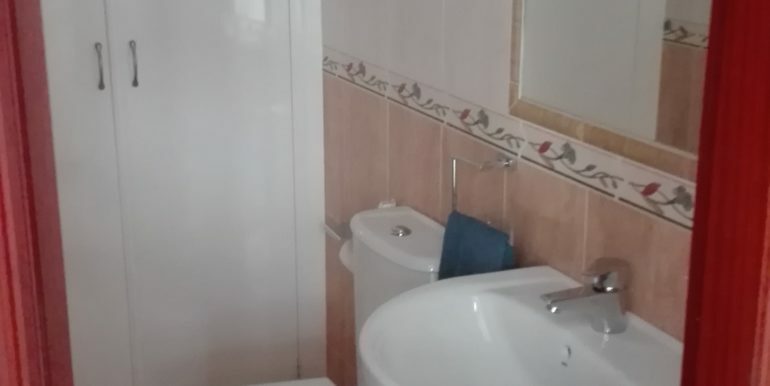 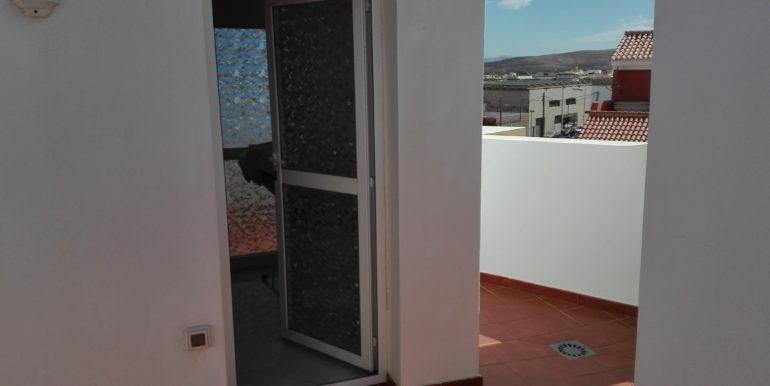 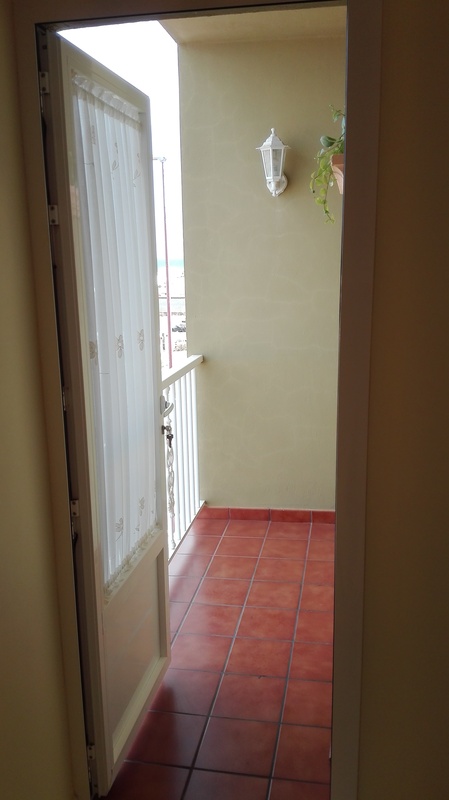 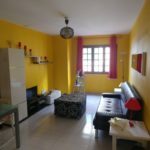 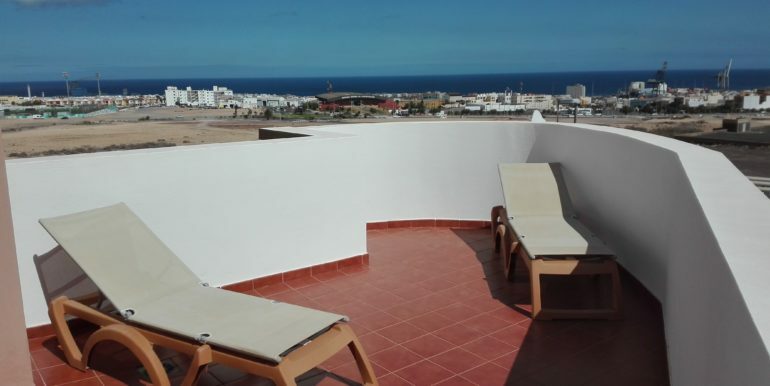 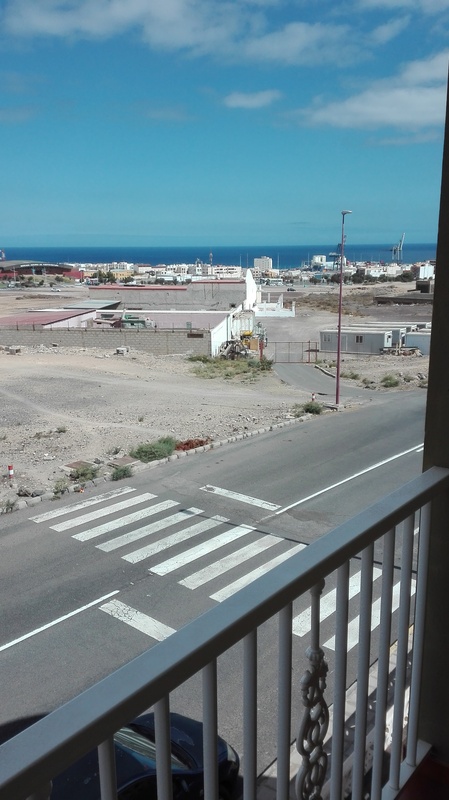 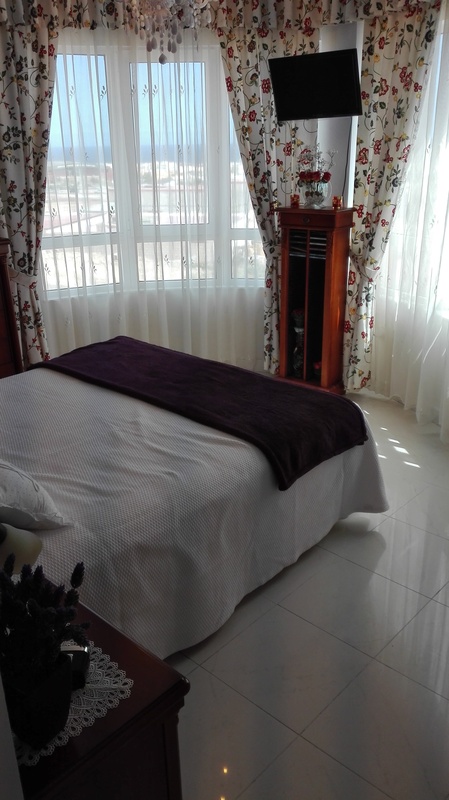 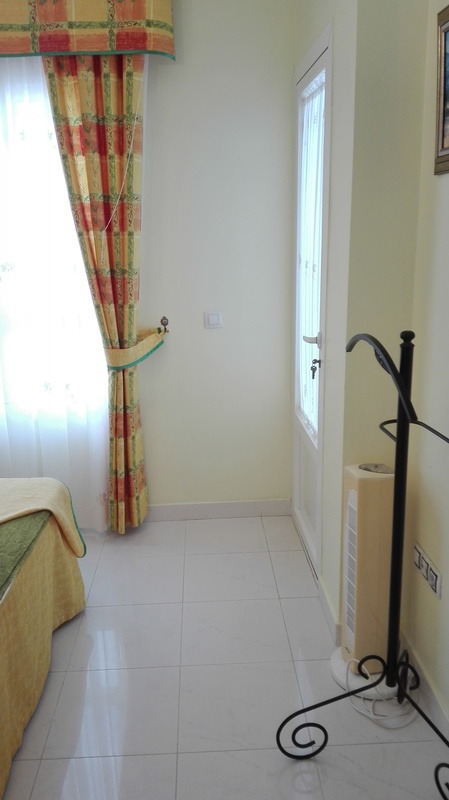 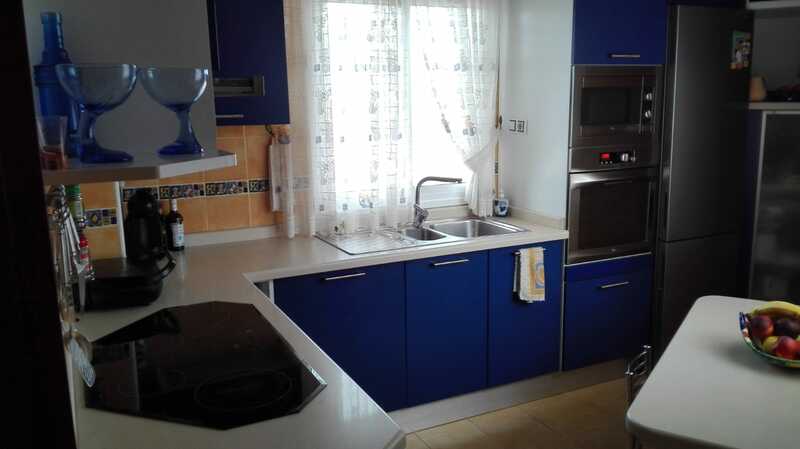 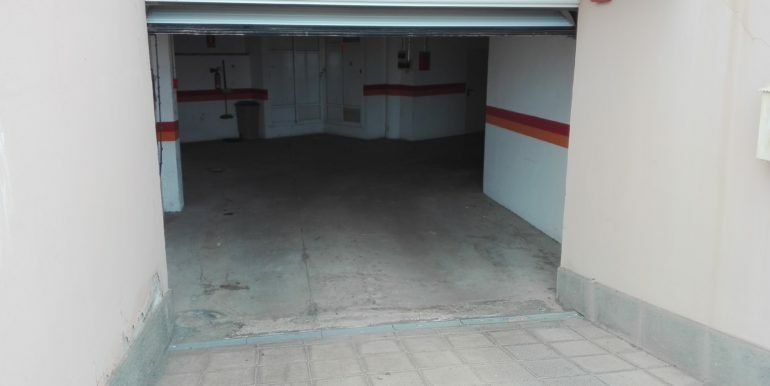 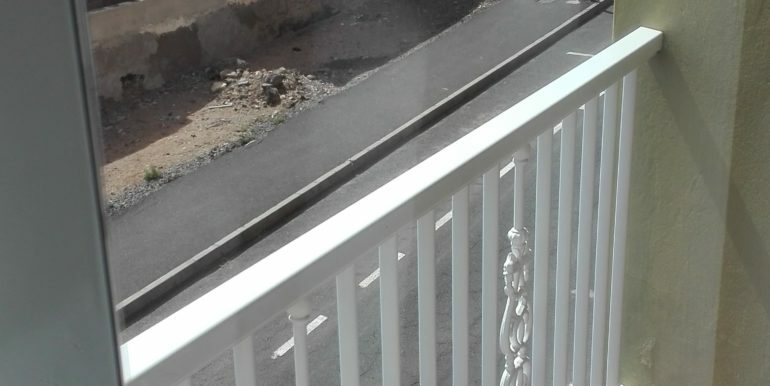 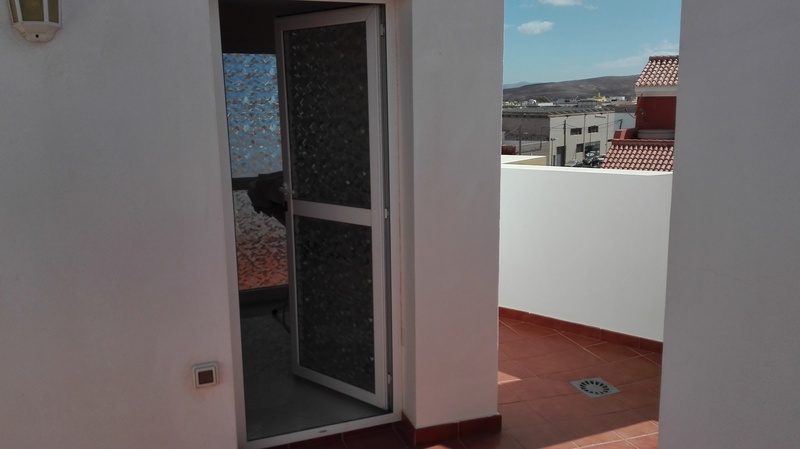 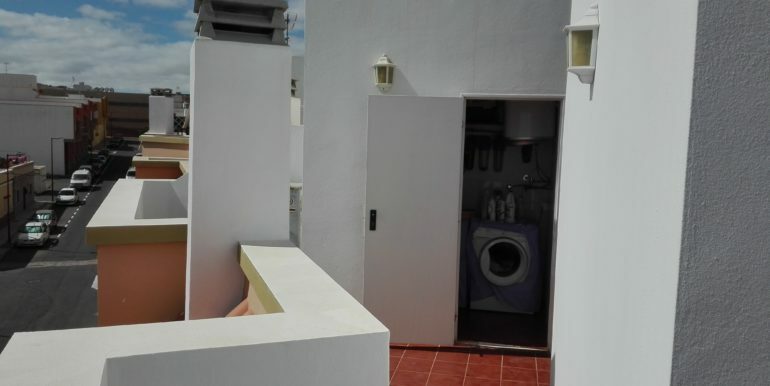 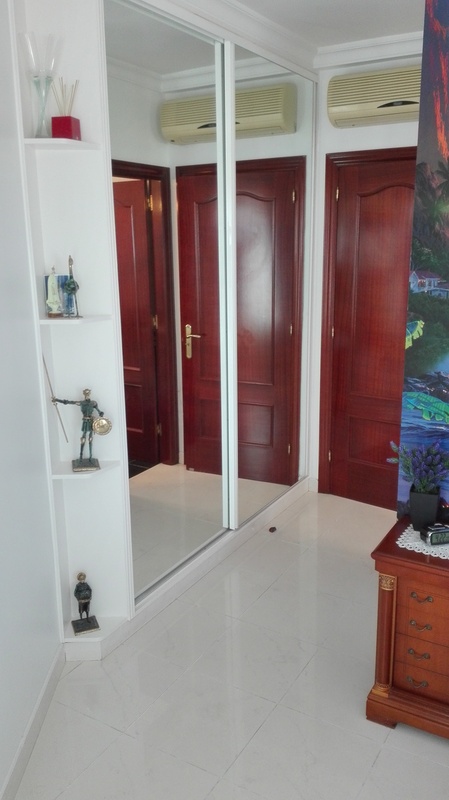 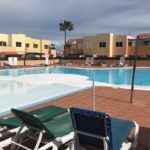 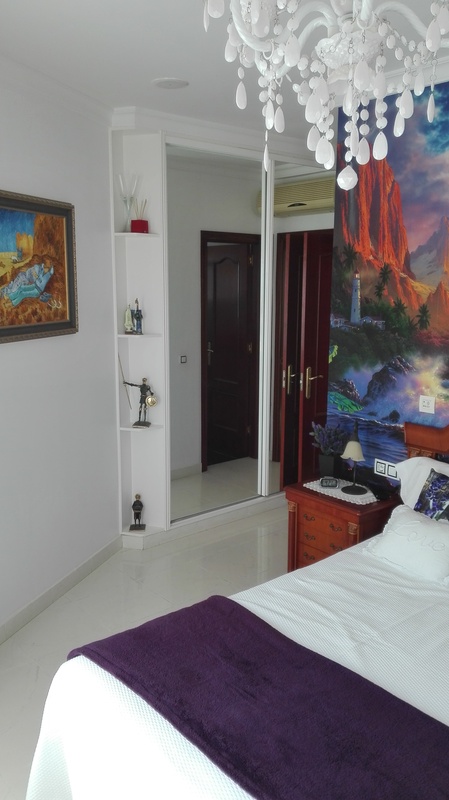 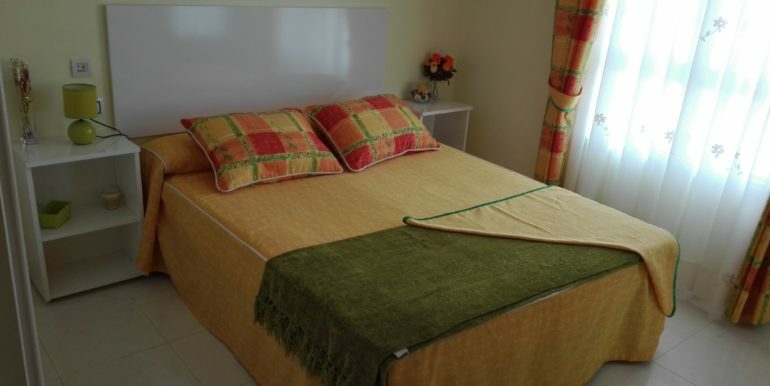 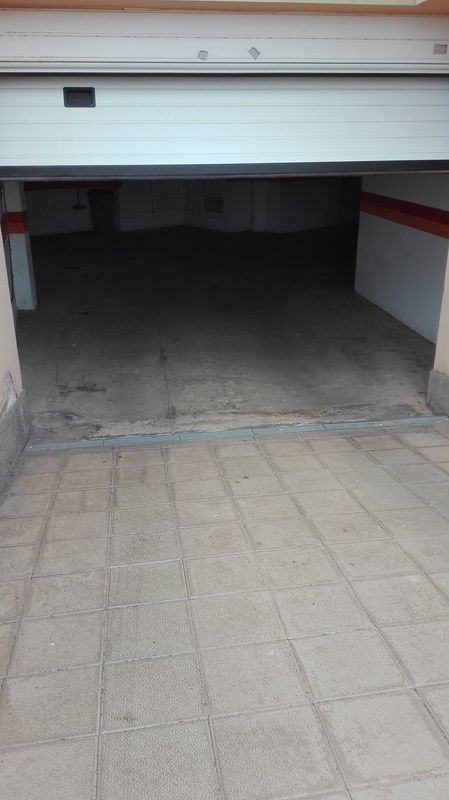 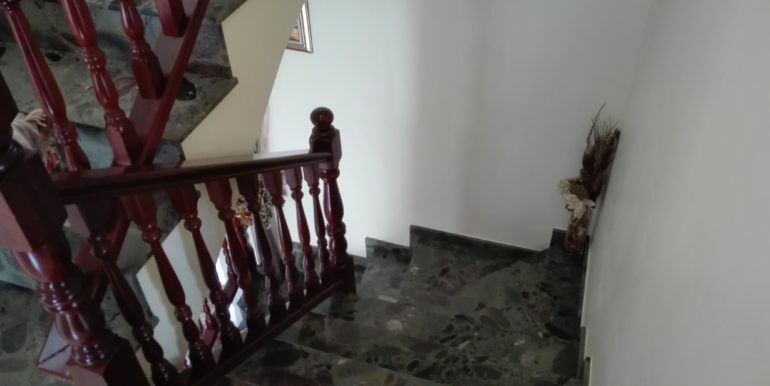 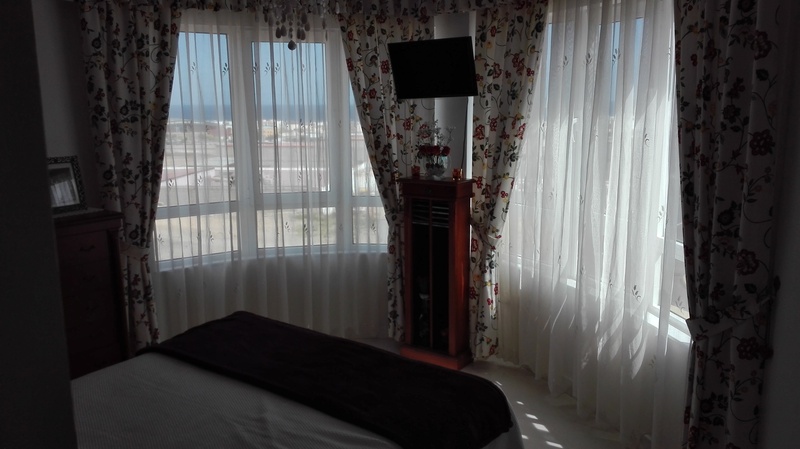 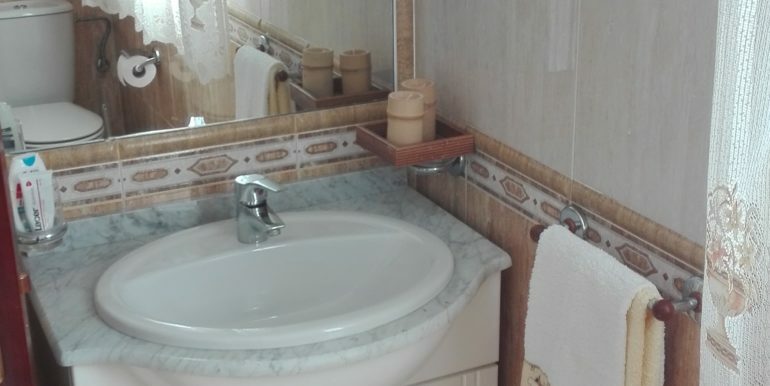 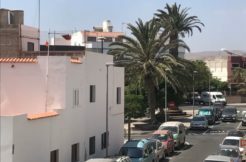 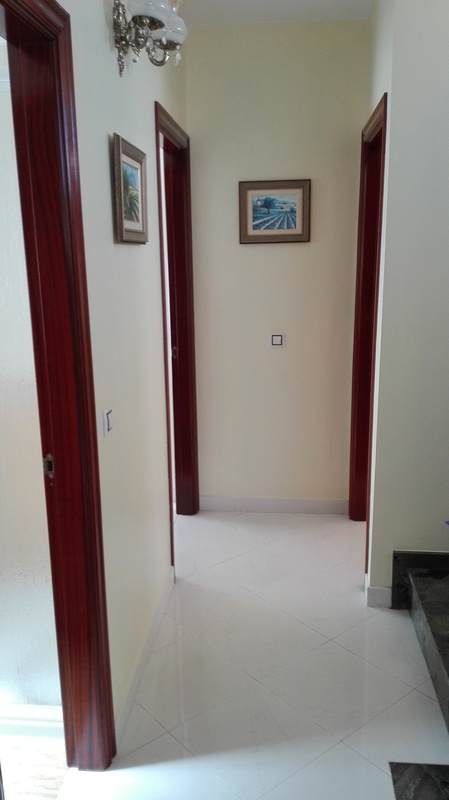 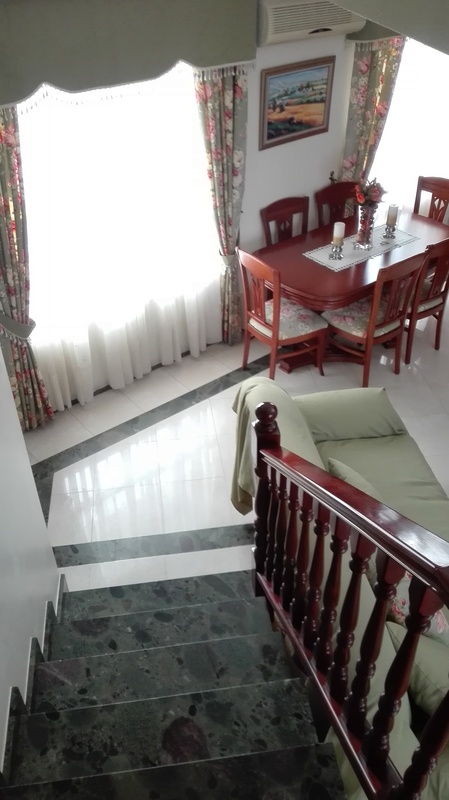 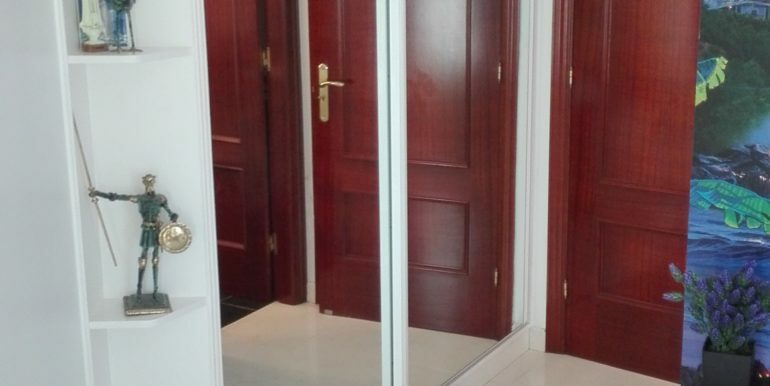 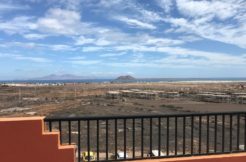 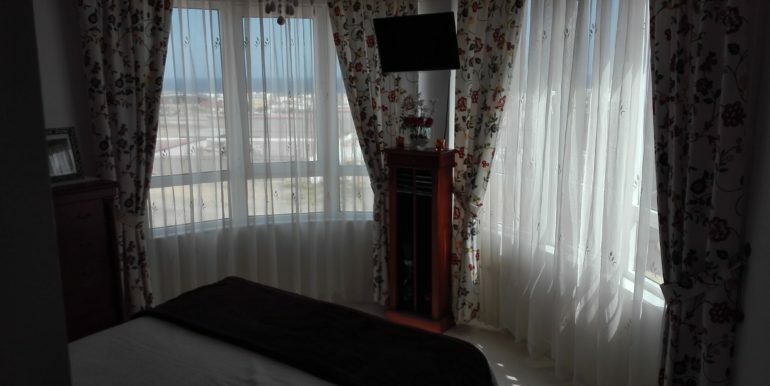 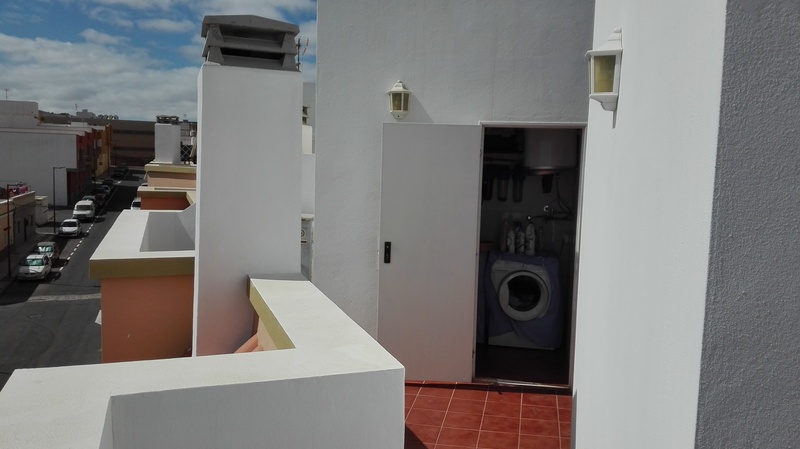 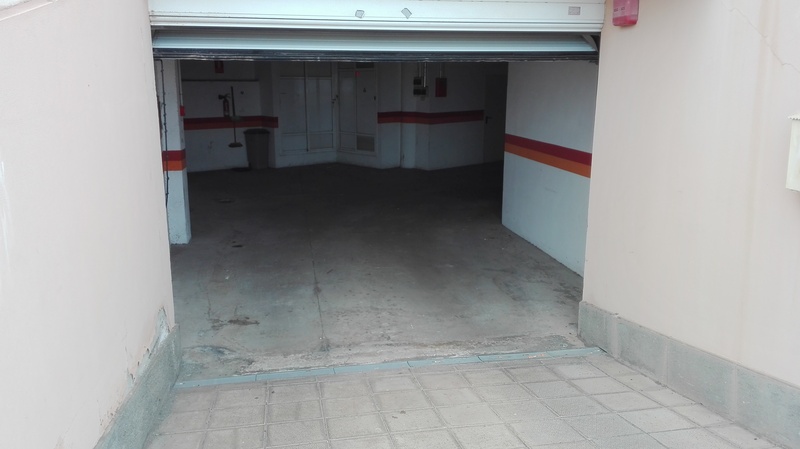 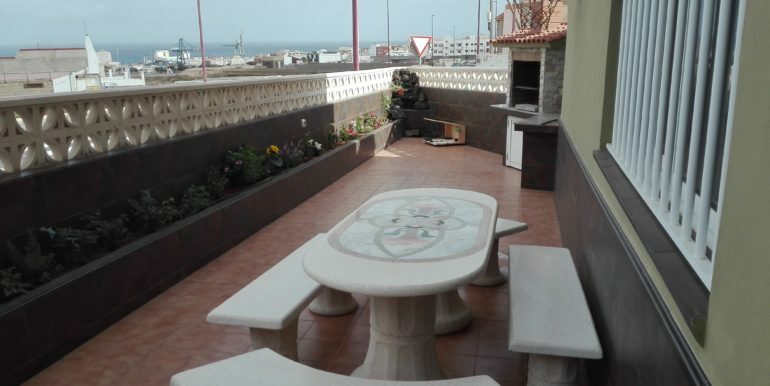 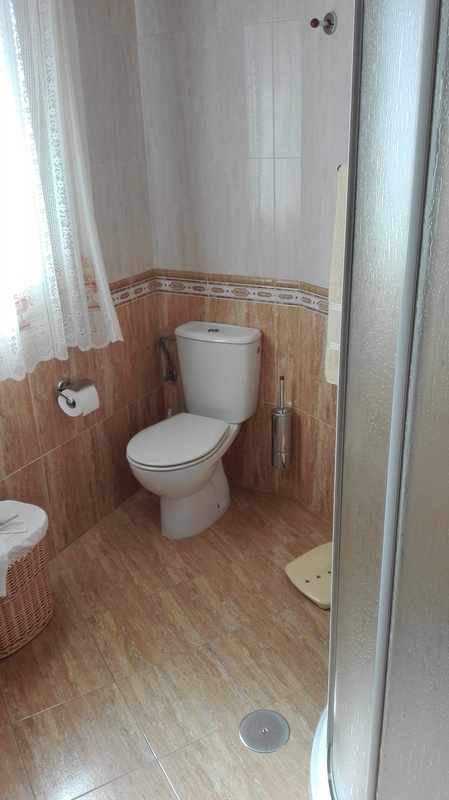 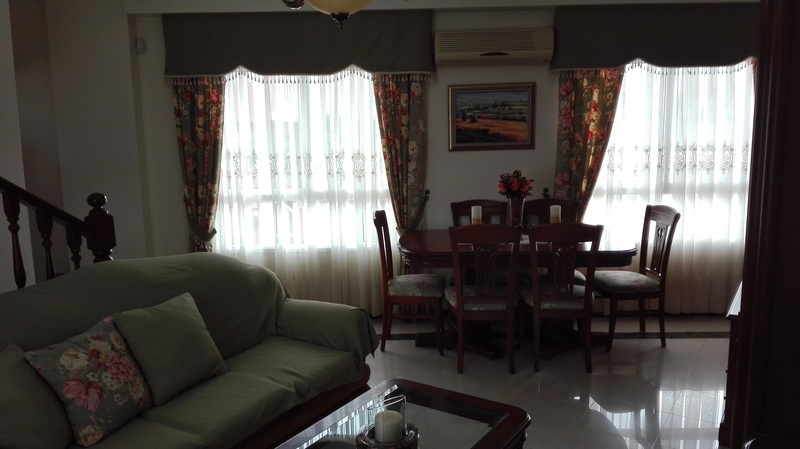 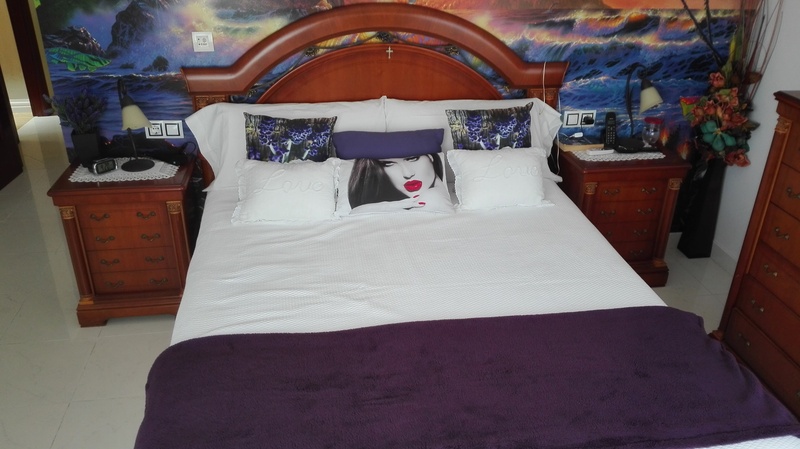 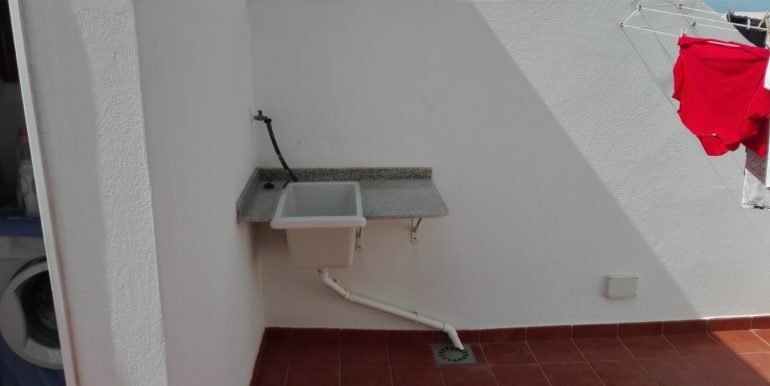 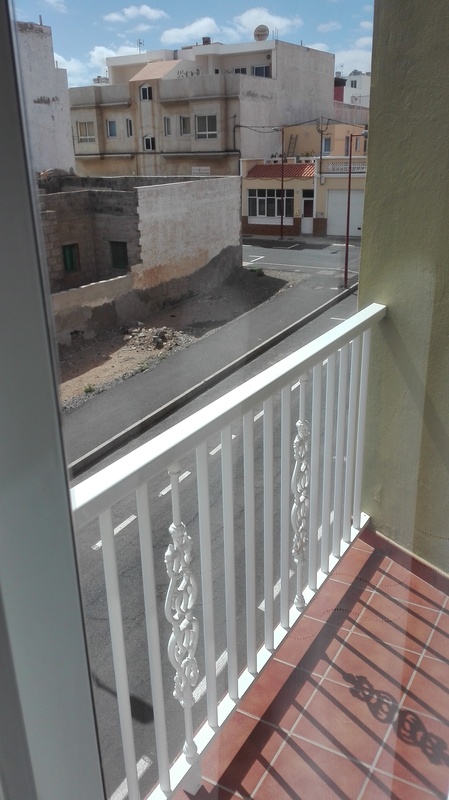 Nice and spacious duplex for sale in Puerto del Rosario, in an upper area with amazing sea view. 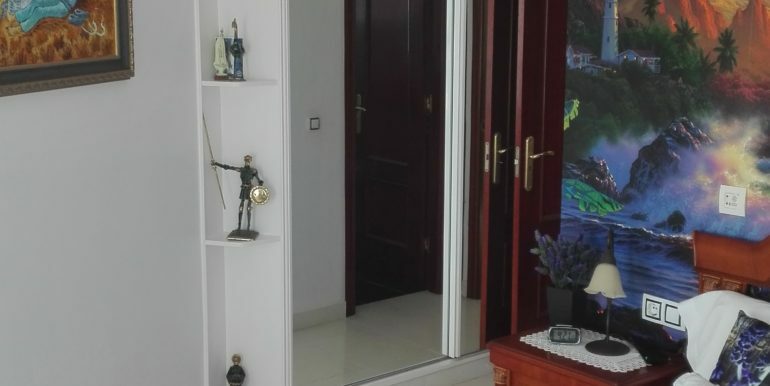 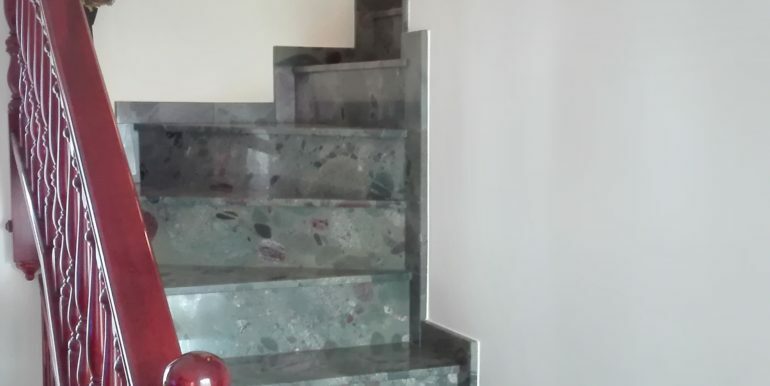 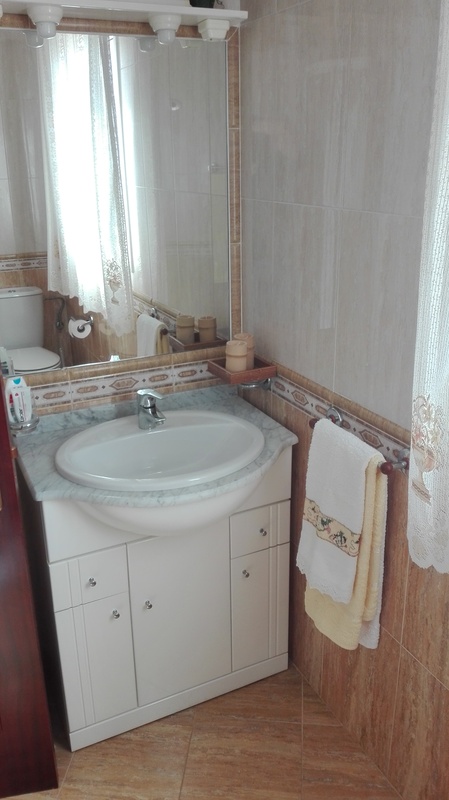 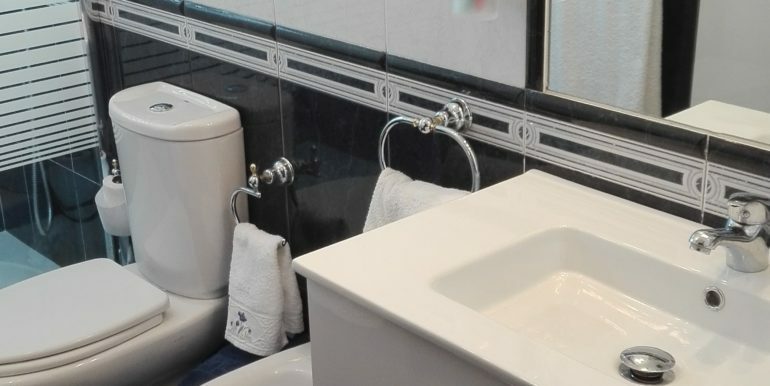 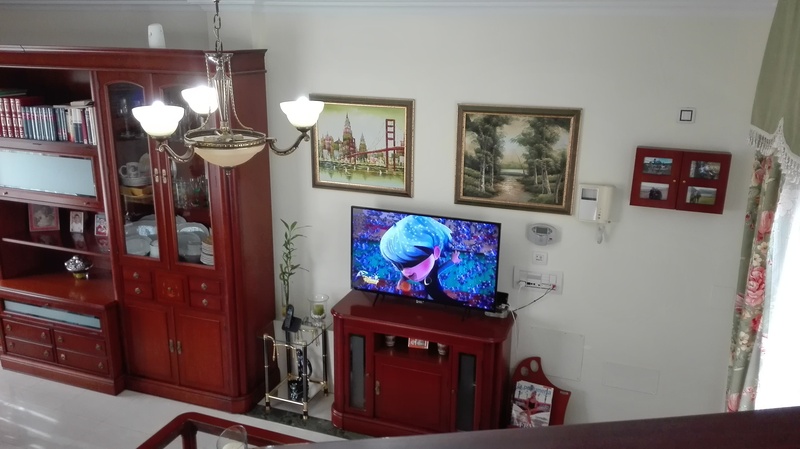 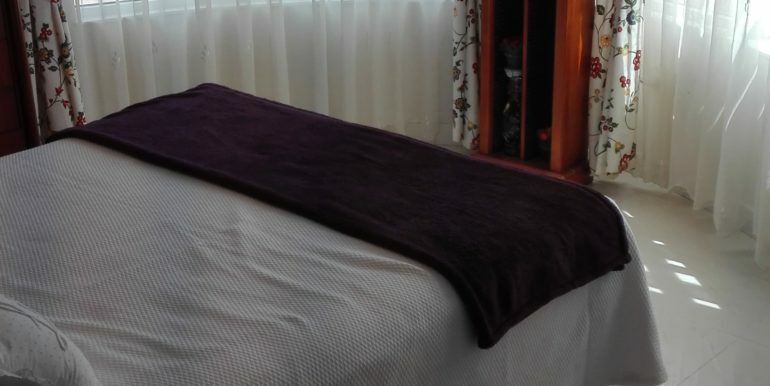 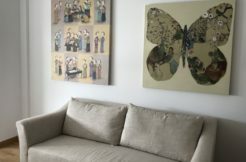 The house boasts of 110sqm divided into two floors; on the ground floor, it has an equipped kitchen, one toilette and a large and bright living-dining room. On the upper floor, it boasts of three bedrooms and two bathrooms. 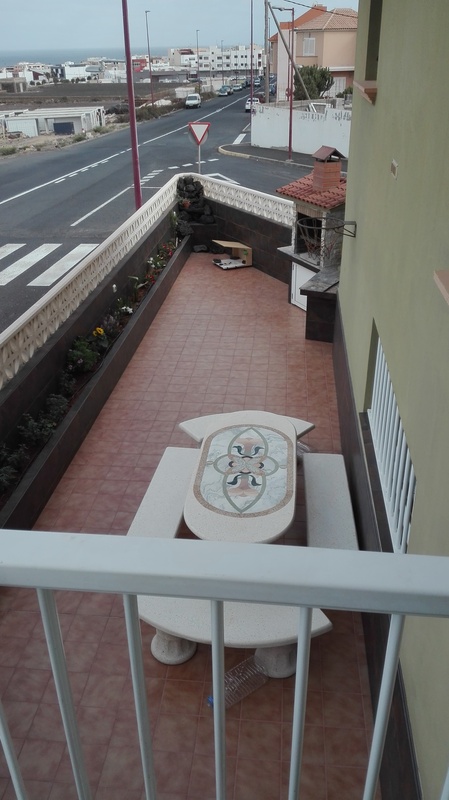 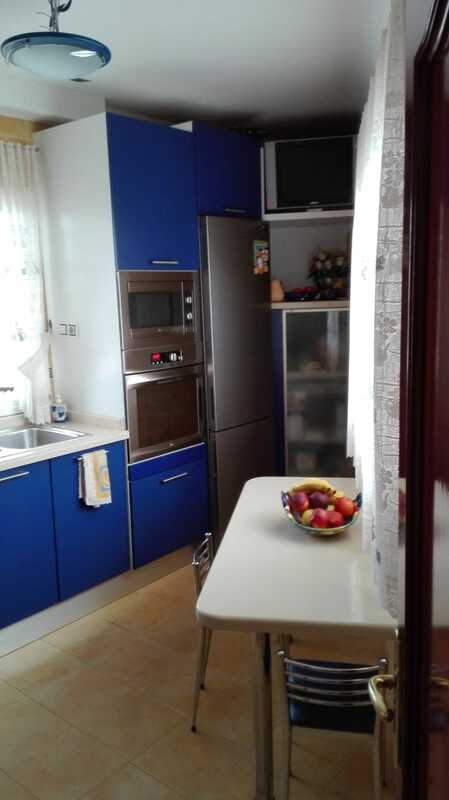 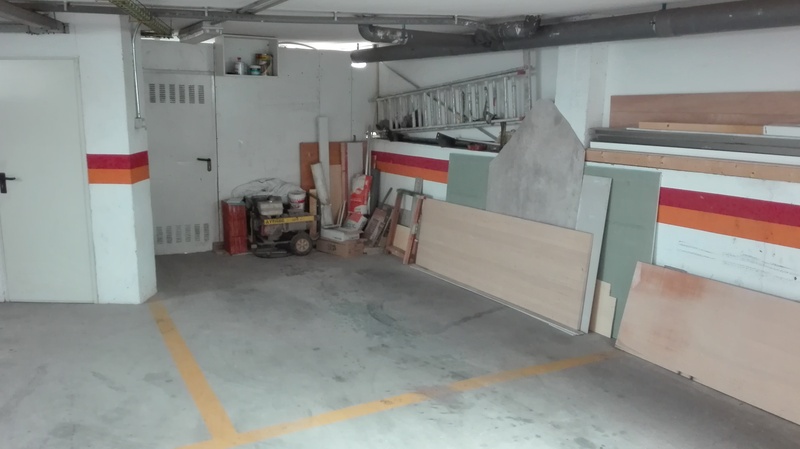 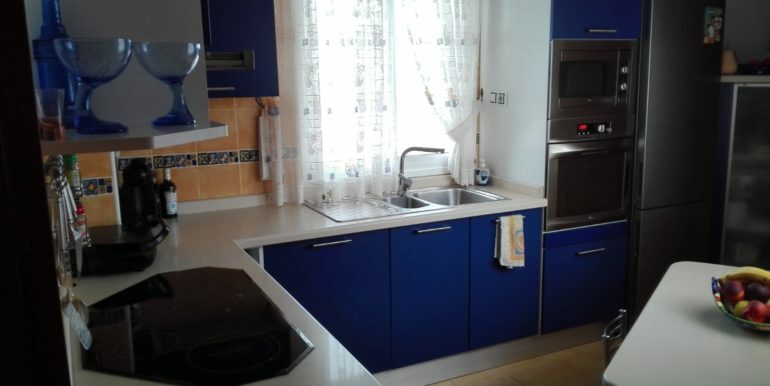 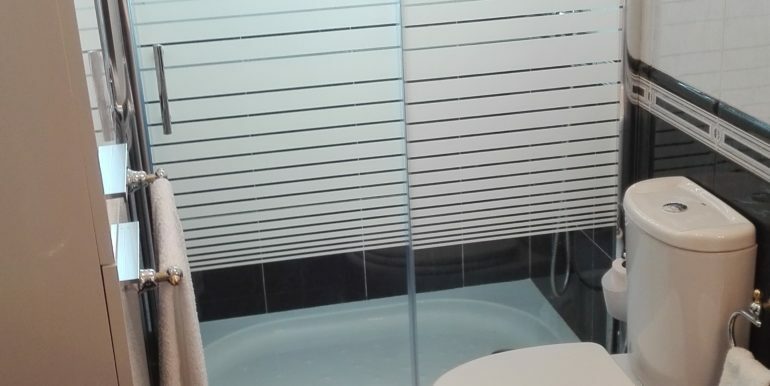 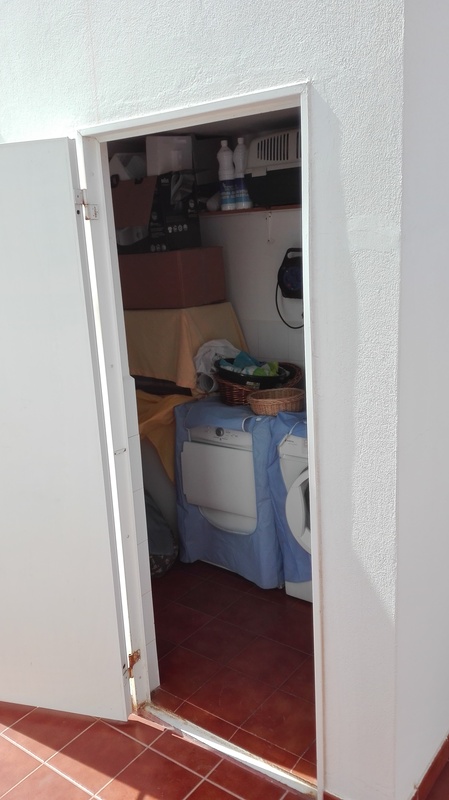 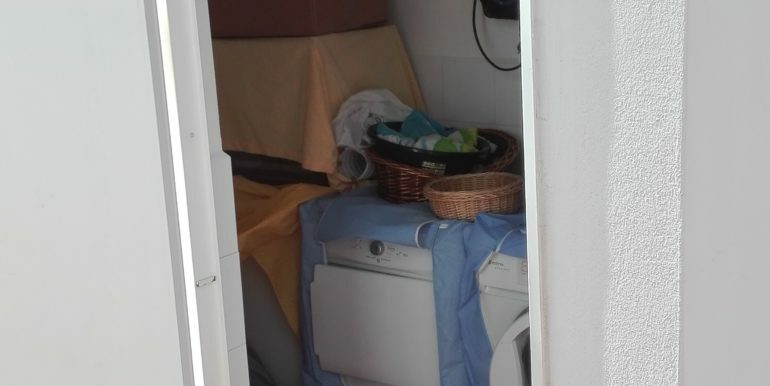 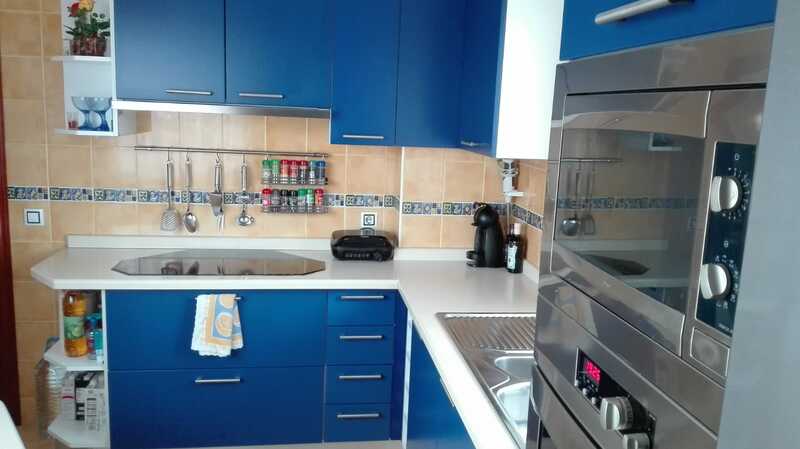 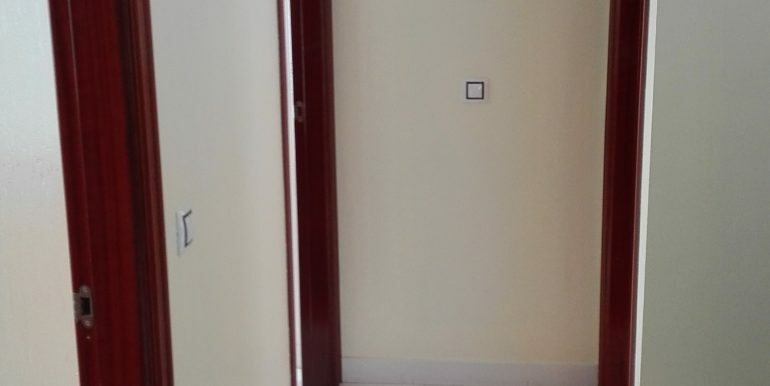 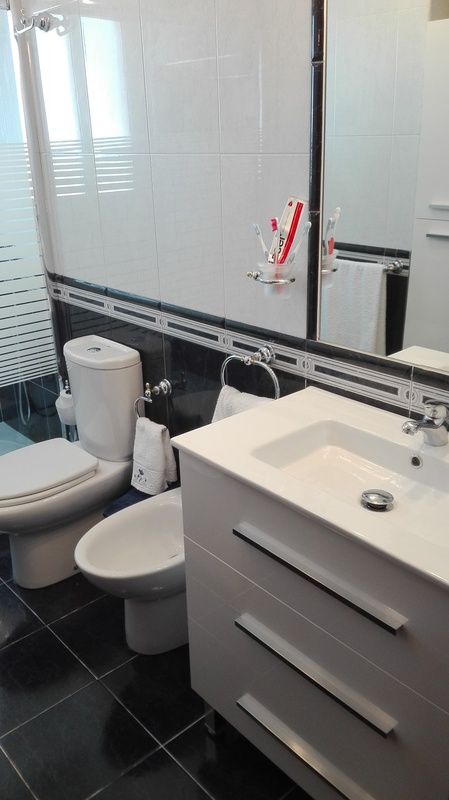 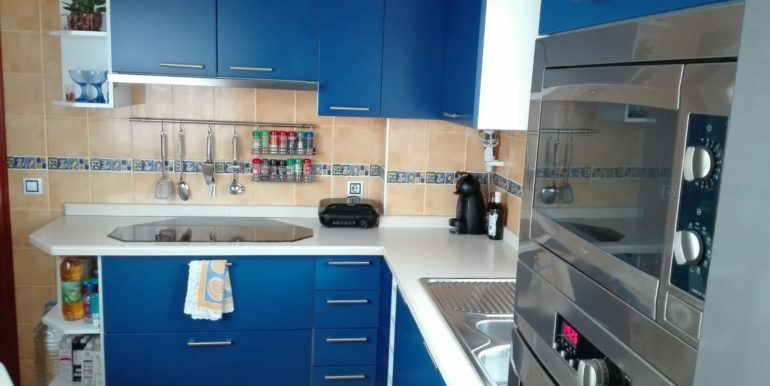 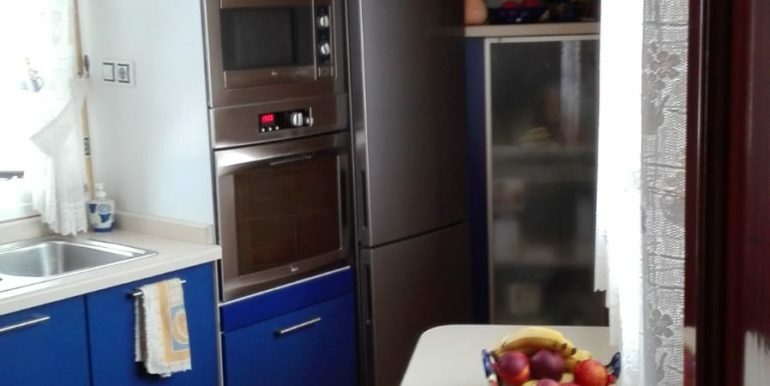 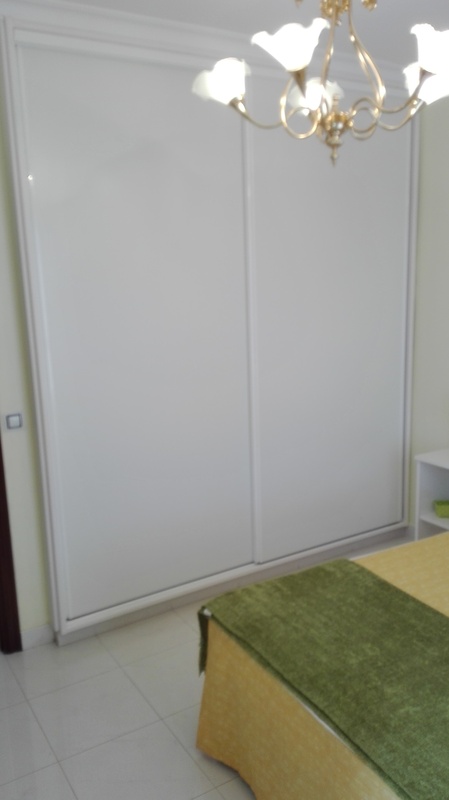 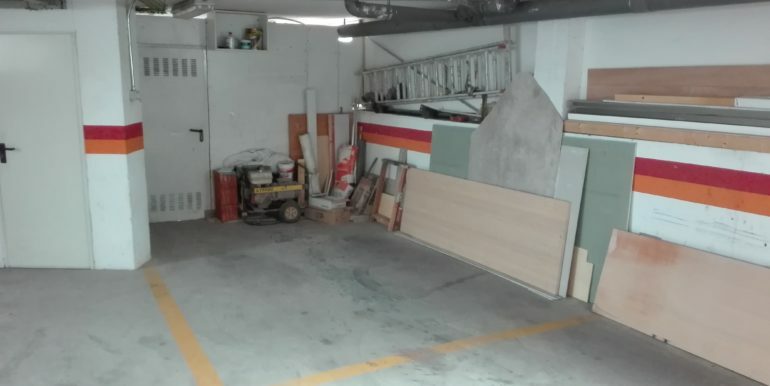 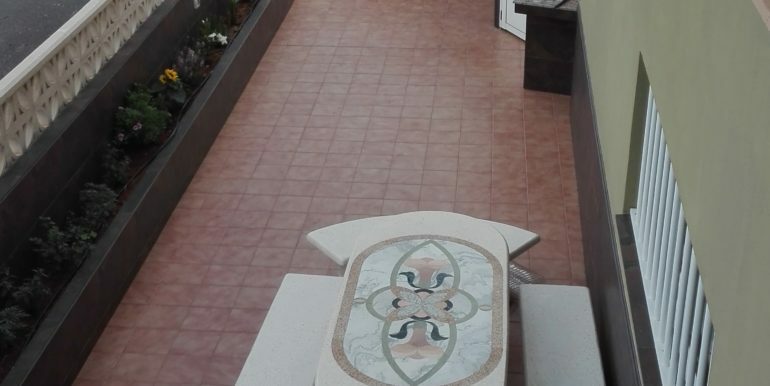 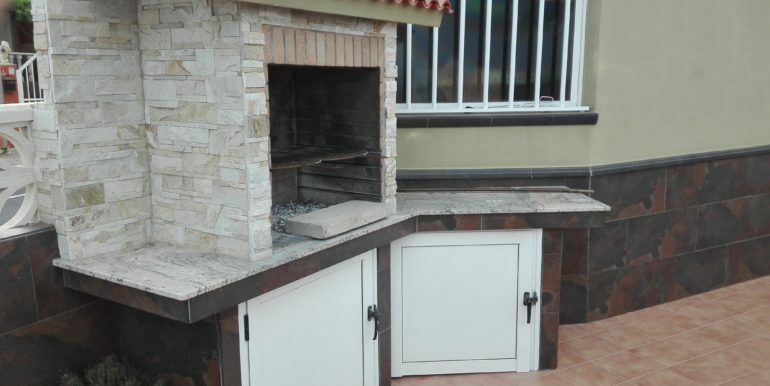 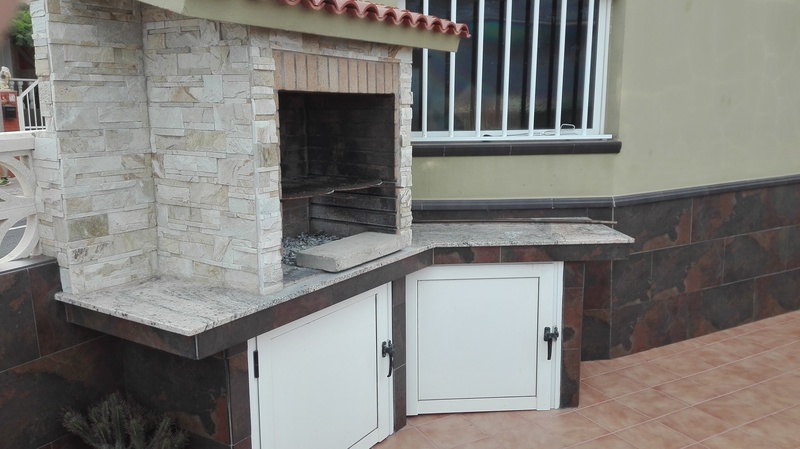 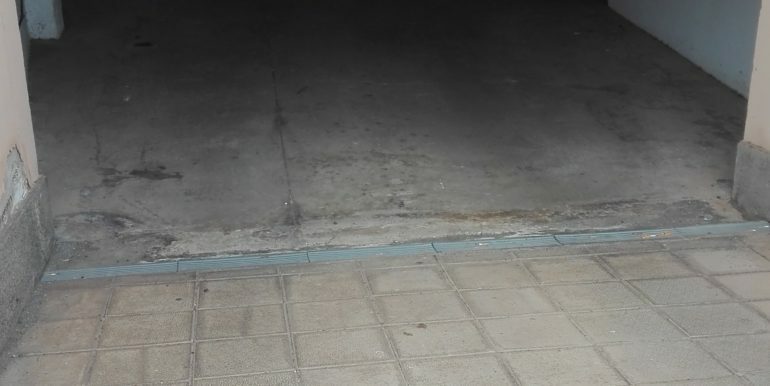 This house boasts of a 37 sqm semibasement, with private garage and storage. 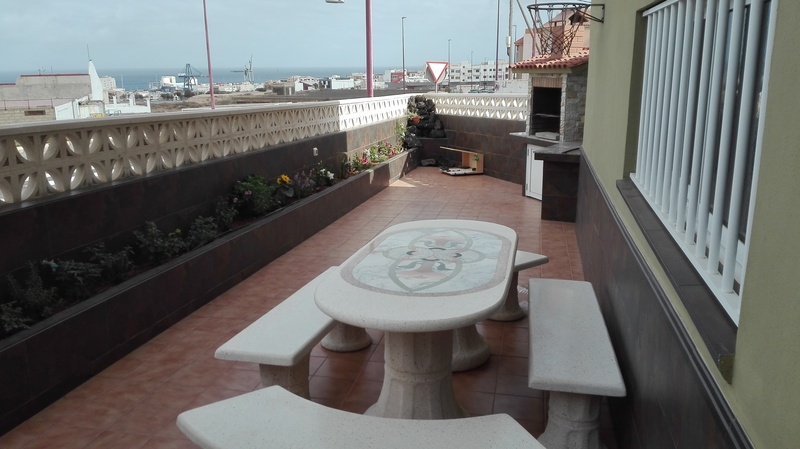 Really large patio with bbq area and amazing sea view! 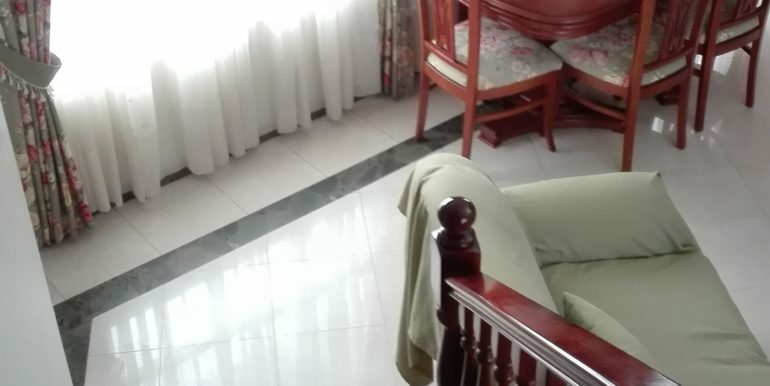 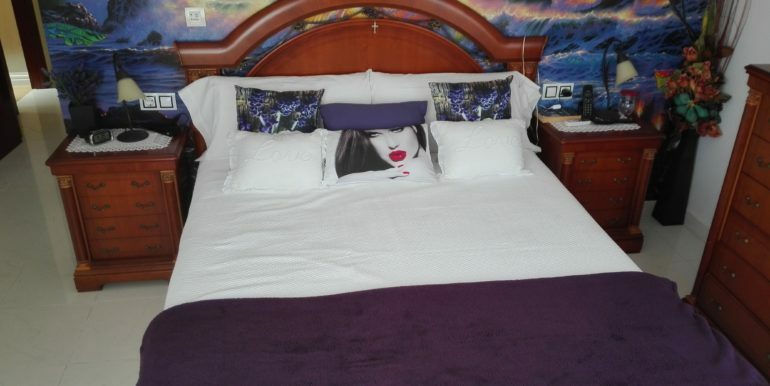 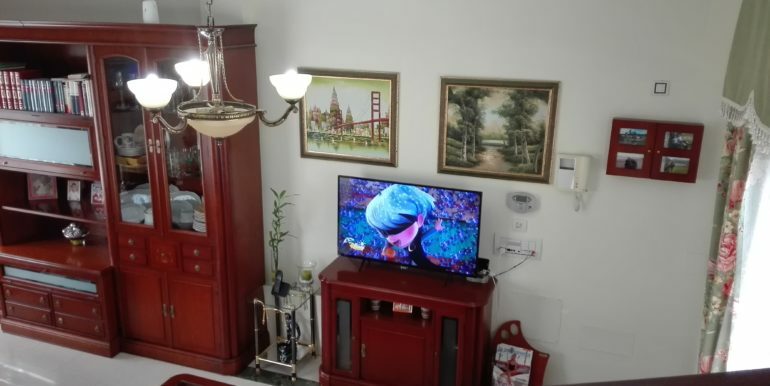 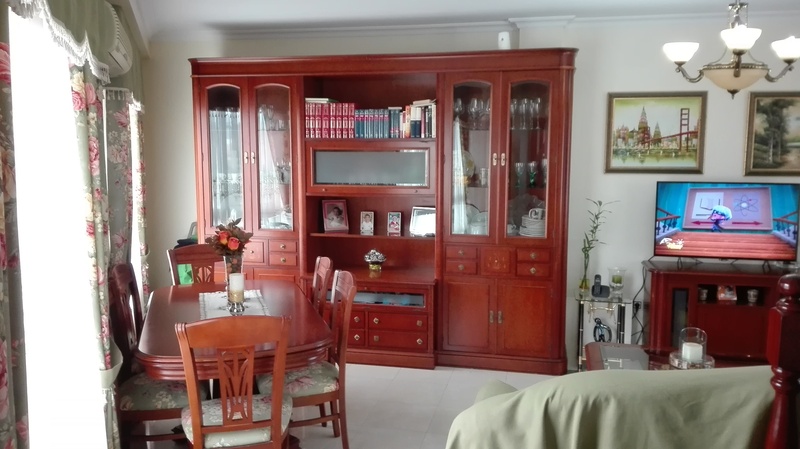 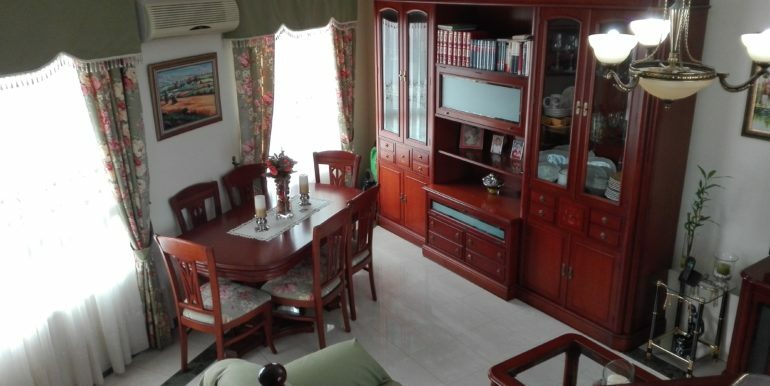 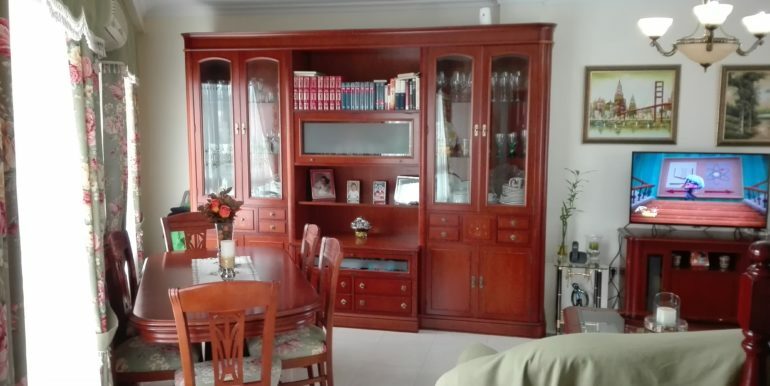 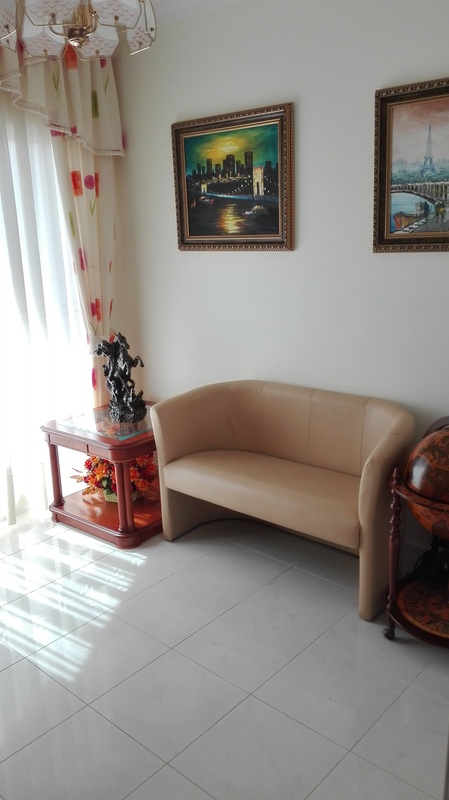 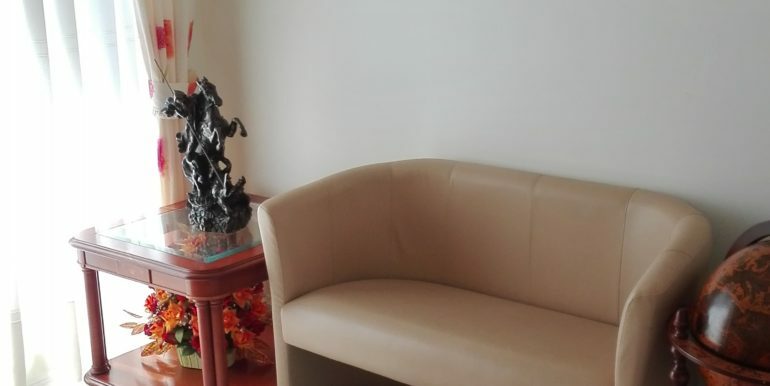 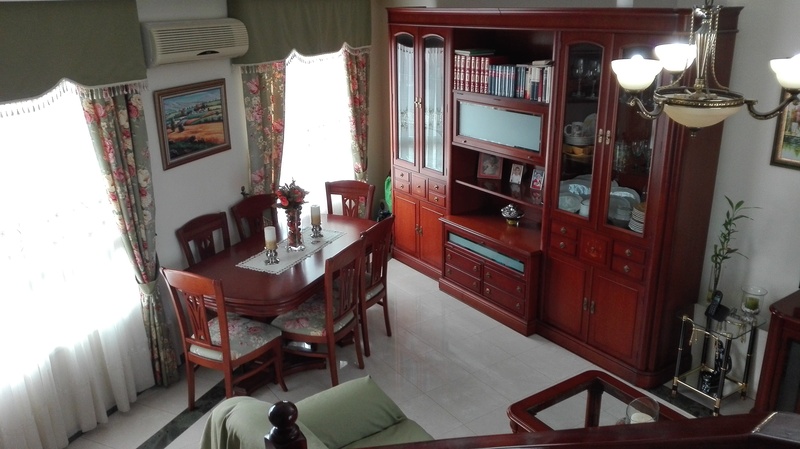 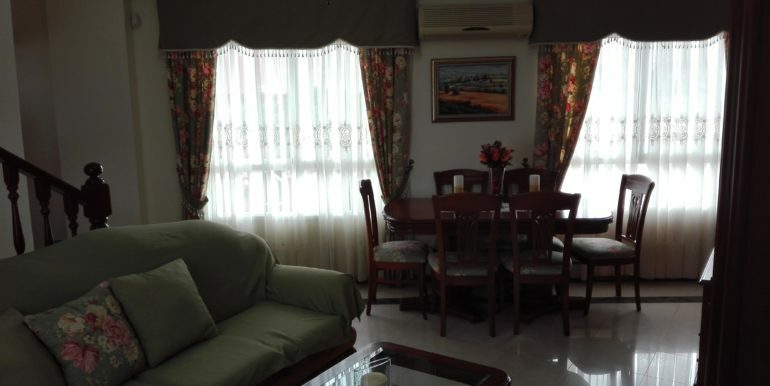 Totally furnished, this house is perfect for families.